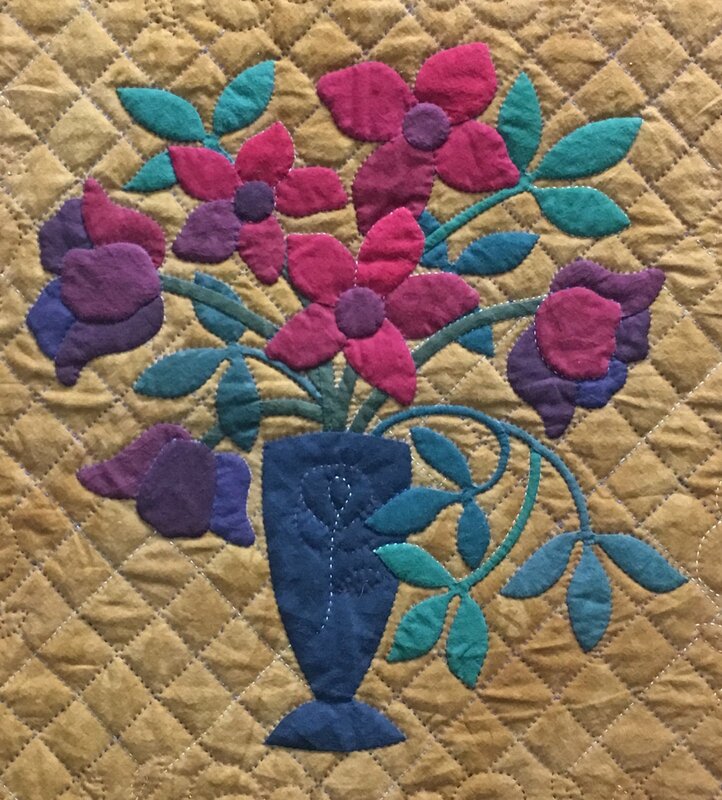 In this on-going class beginning in May, we will be working on this sweet bouquet-of-flowers wall quilt. With this you will be perfecting several applique techniques. It is a relaxing design that you should be able to easily accomplish. $66 for four sessions.